By now it’s no secret that email marketing is a must-have in every marketer’s toolbox. More than 82% of companies—big and small alike—are using email marketing in some capacity to drive leads and sales, and they’re using it for good effect. Recent studies show that marketers rank email as the most effective channel for acquiring new leads and holding on to existing clients, and more than three quarters of marketers are happy with the ROI of email marketing. But here’s the thing: even though the vast majority of marketers are leveraging email to drive leads and sales, only 42% of those same marketers are using marketing automation platforms to manage their digital strategy. Marketing automation is a way to automate how you handle most or all of your digital marketing efforts. The actions of automating your marketing (e.g., scheduling a task or creating workflows that automatically trigger based on actions) are then handled by a marketing automation platform—typically, software you access through a web browser which may or may not integrate to your CRM. Think of landing pages, email send engine, form builders, surveys, and social media scheduling as the basic features in a marketing automation platform. 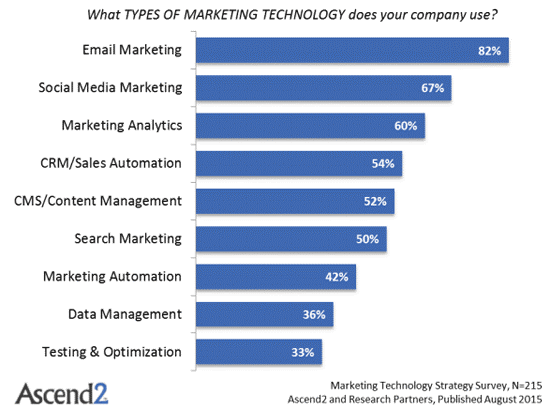 Marketers who are already using marketing automation tools tout time saving as the top benefit of a marketing automation platform. In a report issued by Redeye and TFM&A Insights, a third of marketing automation users said using a marketing automation platform allows them to take repetitive tasks off of their to do lists so that they can focus on new and more exciting projects or strategies. Given that Litmus’ 2017 State of Email Report states that an average of 41% of marketing departments only have one or two people sending marketing emails, any ounce of time you can save is worth the investment. So how does it work? Marketing automation platforms enable you to do the bulk of production when you actually have time, and you can schedule out posts and messages for times that are optimal for your audience (hooray for no more posting to Facebook on Saturday morning). 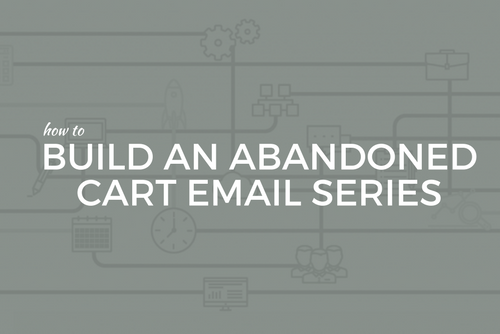 If you’re running campaigns with multiple emails or dynamic send lists, you can use a marketing automation platform to trigger email sends based on time passed or actions taken, and you can manage who gets those emails (and who doesn’t) without having to manually edit or upload new send lists. If you’re managing multiple campaigns or many products or brands at the same time, building your campaigns and automating entry to those campaigns could be worth the investment in a platform in and of itself. You know that feeling you get when you receive content that has nothing to do with your interests? Your customers don’t like it either. In fact, 74% of consumers report feeling frustrated when they receive marketing content that has nothing to do with their interests. And given the digital super powers marketers have to build target audiences based on job titles, interests, regions and more, the burden of creating truly tailored content is on us. Fortunately, this is something your marketing automation platform can also help you do—particularly if you take the extra step to connect your CRM to your platform so that the two can share data back and forth. Using the data you already have in your CRM system (e.g., industry, region, products/services, custom fields relevant to your target audience), you can build cross-sell nurture campaigns that are triggered by information in your CRM as it’s fed to a list in your marketing automation platform. This works in reverse as well—let’s say you want to target more leads in a given industry. You could create a downloadable piece of content or host an event tailored specifically to that audience, promote that special item to them via paid media ads, and follow up with anyone who converts on a landing page with a targeted nurture campaign that contains information specific to their unique wants and needs—all by using the features of a marketing automation platform. Did you know that more than 75% of email revenue is generated by triggered campaigns rather than one-off blanket emails? The average lead takes at least a dozen touchpoints before they convert to an opportunity, and those touchpoints shouldn’t all come from the same place. This is where your marketing automation platform comes in: you can use your send list to create custom audiences on Facebook and LinkedIn and serve up digital ads to the same audience you’re emailing. If your CRM and marketing automation platform are connected, you can port lists from your CRM system to support your sales team efforts with targeted email sends or invitations to events or webinars. Did you know that the top reason consumers report promotion emails as spam is that the brand sent irrelevant or too many emails? You can use a marketing automation platform to help your audience manage their own subscriptions and preferences, which means they are less likely to report the emails you’re already sending them as spam. Using a platform rather than just an email send engine also means you can capture information about your audience using landing pages that you can then use for email marketing—see more on that with automated inbound follow up. If you’re running paid search campaigns, you can improve your follow up and potentially your close rate if you automate at least part of the inbound lead follow up process. 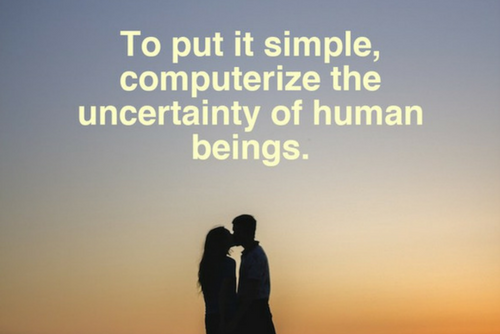 A marketing automation platform can certainly help here. Let’s say that you have a paid search ad running through to a landing page you’ve built in your marketing automation platform. You can create unique landing pages based on your keywords and messaging—thousands of them, if you want—that could improve your chances of converting the person who came through the ad with hyper relevant content. Once your lead fills out a form to convert, you can send them an immediate follow up email to let them know that someone will be in touch right away, or you can send them a coupon or trigger them to join a special offer email list. This is a great way to build trust from the first moment with your new potential customer. Regardless of where you are in the process of moving beyond email marketing and into true marketing automation, the key to success is planning. Before you ever build a campaign, know what data you want to collect, why you want to collect it, how you plan to use it, and perhaps most importantly, where you’re going to get it. Having an effective strategy for using a marketing automation platform is often the biggest barrier to success, and knowing what you hope to achieve from the outset can help you be successful quicker. It’s not uncommon for companies to outsource all or part of their marketing automation strategy and/or planning, either—in fact, more than half of companies in a recent marketing automation trends survey reported that they outsource all or at least part of marketing automation planning or strategy. If you need help or just want a second set of eyes, you can always reach out to emfluence for help. Just let us know in the comments section below, or send us an email at expert@emfluence.com.